Grace Jones: Made of Jamaica | Kam-Au Amen & Co.
It’s sometimes hard as a Jamaican to really appreciate that Grace Jones is a real life pop culture mega-icon, no play-play nutten. To me, and perhaps many other Jamaicans, she seems so ordinary, so accessible, so real, and so the person next door. It’s perhaps our culture’s fatal flaw why we don’t fully appreciate the West’s obsession with spectacle and are therefore not very good at monetizing what comes to us so effortlessly. But, I don’t think this is the case with Grace. She is a spectacle, spectacularly so, and she understands it. And, she evidently has a formula for monetizing who and what she is. She’s unapologetically Jamaican, fierce, bold and in your face, you will take her on her terms, argument done! I love it. 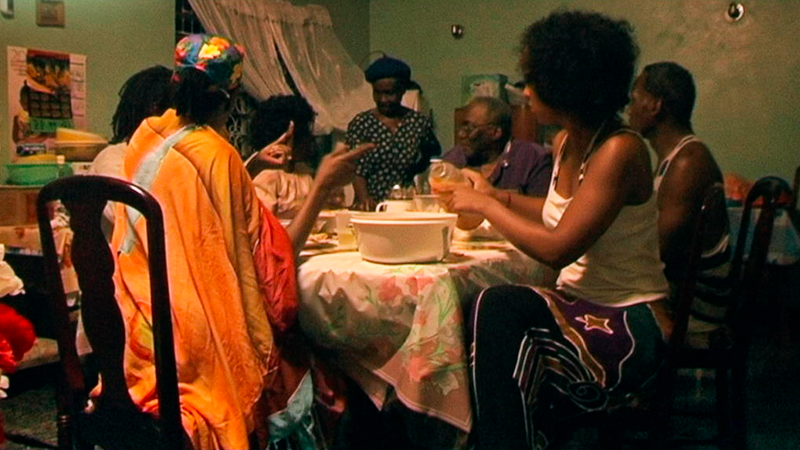 I had the pleasure of watching her most recent film "Grace Jones: Bloodlight and Bami" last night at the Lincoln Center, and there’s just so much to unpack, because the film takes you on a very personal journey with her into her family, where we get to learn more about her childhood in Jamaica. We get to meet her mother and down the family line to her granddaughter - she will be 70 years old in May 2018. “I’m human”, she upsettingly declared in one scene where she had been negotiating a business deal, but through the magic of film we get to not just hear the declaration, but to see her manifest humanity. It’s beautiful, and it simply moves you to love and appreciate her more. I couldn’t help but think while watching this film how empowering this could be to school children in Jamaica. It’s a beautiful tribute to the movement of the Jamaican culture into the hearts and minds of adoring fans across the world. Her story is a true testament that achievement is possible no matter the point at which you begin in life. There is a but though. I felt Grace’s irreverence would offend the sensibilities of a Christian-cloaked Jamaican society that would not tolerate her unapologetic embrace of her worldly lifestyle, her sensuality, and her liberated feminine expressions, not least of which are her words, none of which children these days would be unfamiliar with, mind you. But keeping up appearances is still important, for the sake of the artless. It is a tragedy. But I have hope that great art prevails. Interestingly in the documentary Grace describes herself as a visual artist. That struck me, and it was not something I expected to hear. The truth is I hadn’t really contemplated this description for her before. However, having watched the film and hear her speak about her journey it makes perfect sense. So much of who she is is the art that her body is used to stage. It would be a mistake to think it fake. In fact, the film director Sophie Fiennes is quoted in the New York Times article "Grace Jones on a Lifetime of Doing Whatever She Pleases" as saying, “The stage Grace, it’s not a facade, it’s not a fake — it’s a manifestation." Wrapped up in that iconic aesthetic Jamaicans and the world have come to know is an inimitable Afro-Jamaican presentation of spectacle. In one scene when they take us to church in Jamaica, we get to see her mother sing, and though it was not the best of church singing that Jamaicans have to offer the congregation rose is support. The Jamaican church is its own spectacle and is often times the first stop for those who aspire to journey further along this route. Much to my surprise, Grace herself very early in the documentary in a re-enactment of her mother calling on the name of Jesus bursts out into a rendition of the hymn Amazing Grace, at a pop concert. Lol! This itself was something to see. 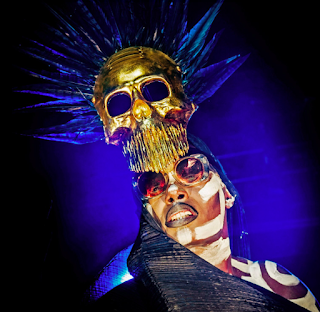 There is an admirable magic to Grace Jones, a pure authenticity, something raw and delightful. It therefore disappoints me that her international impact is not fully appreciated by more Jamaicans. I’m not sure that that will be changing anytime soon, and that’s a shame, but the experience seems to be that her irreverence is not something I think polite society is prepared to engage, if even for its own good. I think once again, through this documentary, an untamed Grace Jones manages to challenge some of the things we hold to be true about ourselves. We’re on to something if we leave the film thinking that our lives are far more fluid than we are prepared to admit.